This creative piece is based on a humble teapot! It relies on repeating lines, instinct and courage to experiment! 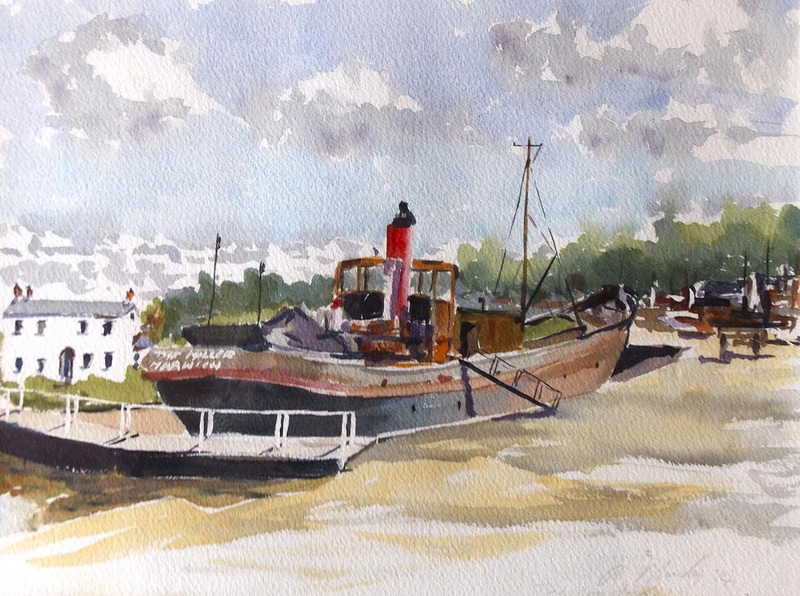 These two day classes, 10am till 3.30pm, are designed for beginners to watercolours. You will learn from the basics. How to draw up the subject then how to apply watercolour. Yes, watercolour painting is one of the most difficult mediums to master, but with the right tuition you can master it in a relative short time. There are two main techniques with watercolour; wet-onto-wet and wet-on-to-dry.The main mistake that beginners make is they over brush, which can quickly lead to a muddy mess! My mantra is always: 'one stroke of the brush and move on'. Yes, you can tweak things later. These two day classes, 10am till 3.30pm, are designed for people who want to take a more creative approach to drawing and painting. Suited to both absolute beginners to art and those more advanced who are seeking to move their art forward. As this is a very much a creative process, beginners take to it because they are more open minded and so everything is new and exciting. 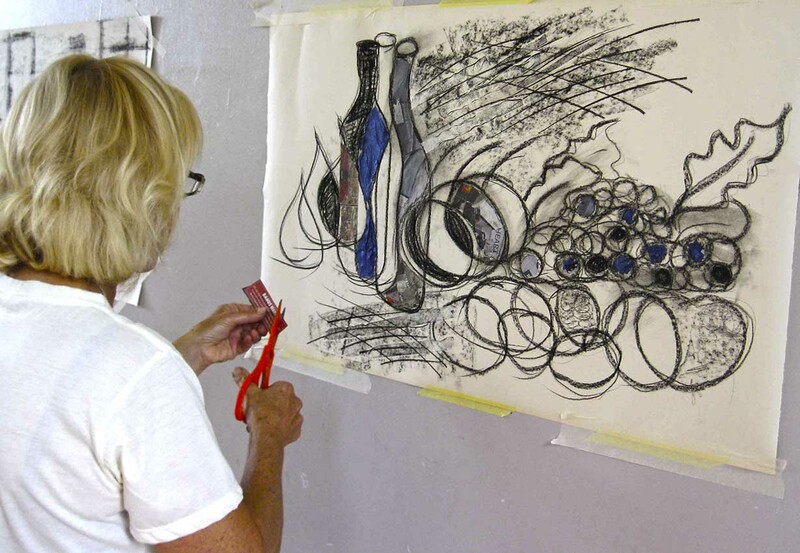 On this workshop, you start with the drawing process, usually on big paper (lining paper), as this allows you to swing your arm over the drawing. The first execises comprise of taping two pencils together. Working at arms length. Drawing without looking at the paper! Using two hands simultaneously rather than just one, and more. illustration shows how, using the thumb and pencil method and using the head as your unit of measurement, you would measure the human figure. 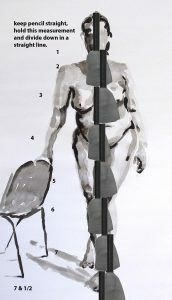 I run a monthly life drawing class, suitable for absolute beginners and those seeking to improve their artistic skills. The class is the first Saturday of the month, all day from 10am till 3.30pm. Fee is £28. When drawing the human form, indeed any subject, you need to be able to draw the subject with confidence and accuracy. 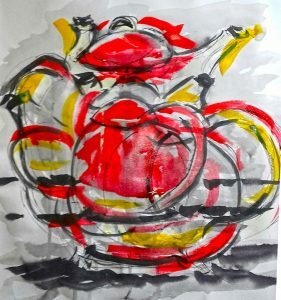 You might be a great drawer or painter, but if the drawing is correct to begin with, you will usually fail with the painting or drawing.